Solar power systems are a great addition to any off-grid cabin or shed. Unlike noisy gas generators, solar power systems are nearly silent and are powered completely by renewable energy. The silence of the solar power system allows you to truly enjoy the great outdoors without disturbing nature. 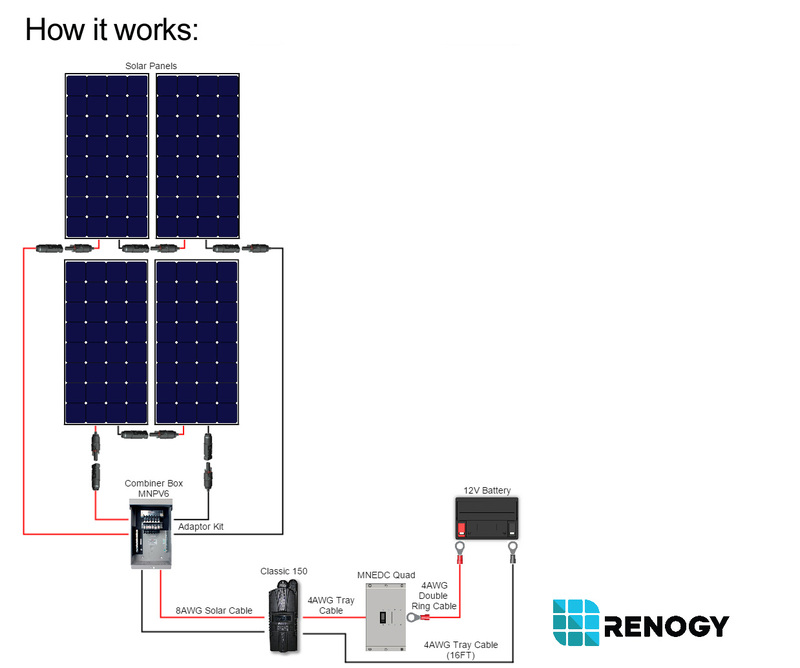 The Renogy 1200W Monocrystalline Cabin Kit includes four highly efficient black frame 300 Monocrystalline Solar Panels. The included PERC solar cells are efficient and help make the panel smaller and lighter. 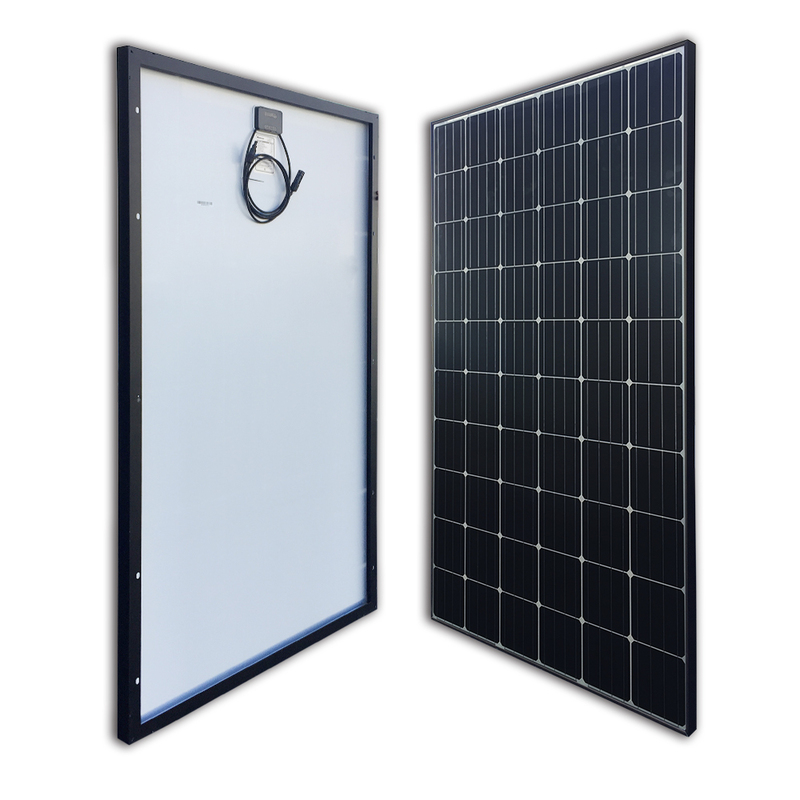 Compared to a regular 72 cell 300 watt panel this panel is 15-20% shorter and lighter. 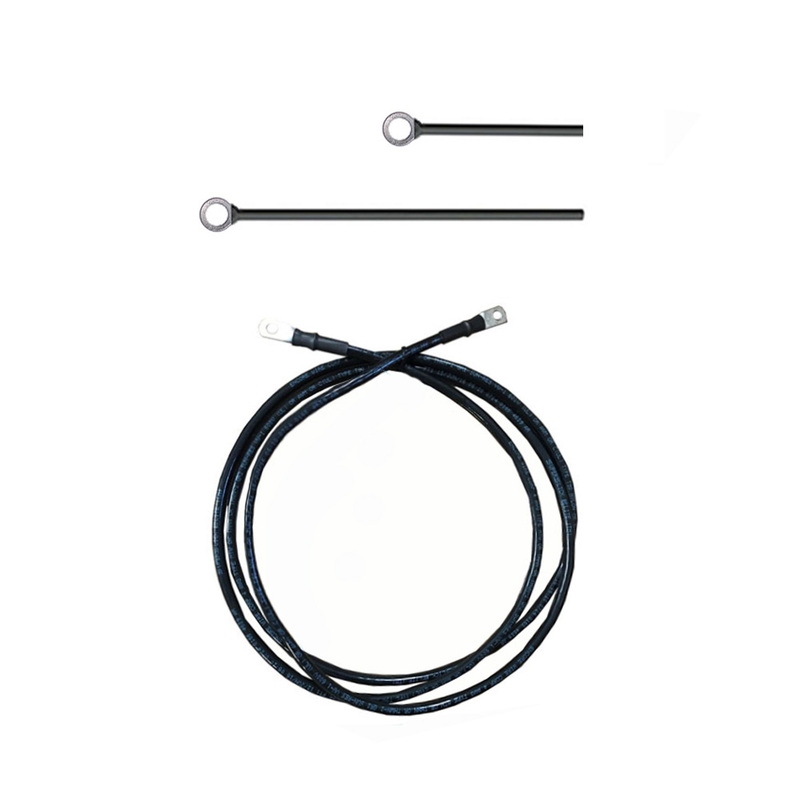 This kit also comes with one high conversion and durable MidNite Classic 150 MPPT Charge Controller, which includes a wide range of features such as remote monitoring. The great features of this high tech charge controller give you greater control over your system setup. Also included is one industry favorite — MidNite Solar MNPV6 Combiner Box. The MNPV6 is rated for outdoor use and allows for later system expansion. 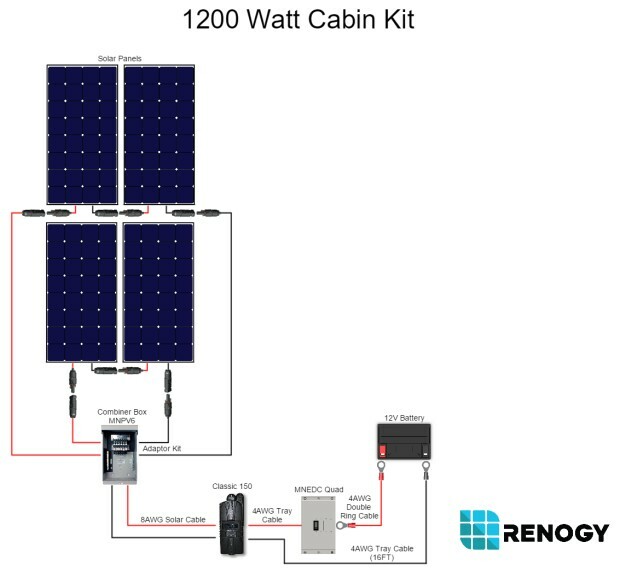 Offering both efficiency and expandability, the Renogy 1200W Cabin Kit will meet your demanding power needs. Note: Unirac certified railing available as an add-on option. Unirac is a leading manufacturer of solar racking in North America delivering the highest standards for fit, form, and function. Box Size: 13mm wide Size: 13.5 x 8 x 3.5 in. Weight: 0.25 lbs. Box Size: 14 x 9 x 4 in.